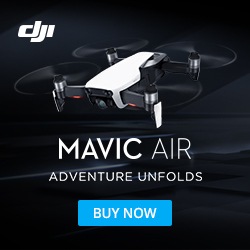 Can I sell drones or accessories on droneflyers.com? If you start a new company or design a drone we'd like to hear about it - you can post an announcement in our New Products Forum, etc. We do not allow constant posting of affiliate links or other sites which are largely affiliate links to Amazon, etc. If what you are selling or find a REAL deal (generally 20% or more off the lowest available usual price), you can post it once in our deals section - or send it along to us and we will post. These Promotional and Sale links are limited to no more than 3 per month per account and subject to deletion after a period of time. Note- we have numerous members signing up ONLY to promote their "giveaways", "contests" and other such things - these posts will be deleted and the members banned. We only seek member who desire to contribute by either helping other members or needing help on a person-to-person basis. Can I post affiliate links and other sites with affiliate links? This forum is to help people in the general topic of piloting and buying RTF multirotors. It is NOT the place for promotion of your other forums, affiliate links, money making schemes, spam or anything related. If you have a link to a serious and well written educational article we will consider it - but, please, go elsewhere to promote your affiliate links and affiliate based sites. Those who sign up here to promote their contests, giveaways, sites, etc. will find their accounts banned and the posts deleted (without warning), as we desire a board which is for person to person sharing. Can we discuss weaponized drones and multirotors here? 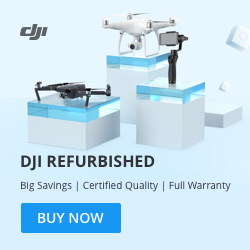 This site is about the enjoyment and advancement of "Drones for Good" as well as for hobbyists and light commercial users. As such, we are not a forum for discussion of the many issues involved with drones built for warfare, spying, etc. All technology brings up ethical and moral questions as to the many uses. Fire warms us, but also kills many (in the form of weapons). It's not the fire (or the drones) which are good or bad, rather it's decisions which are made regarding them. If you have strong political opinions about drones, we urge you to bring them to the political process by expressing your concerns to your representatives, etc. Basically, our rule is the Golden Rule! We could go on for pages about this and that, but if you are signed up here chances are good that you already know most of them! The purpose of the site is educational - to promote BOTH consumer education as well as the industry itself. If your post fits into those areas, chances are it's fine! We are not going to discuss politics, guns, elections, welfare, wars, religion, immigration, etc. etc. etc. If your post is about those subjects, it is likely to disappear without notice. Please keep any avatars, signatures and other public facing material as non-confrontational as possible. This is a moderated forum- and is of the "family friendly" variety. Note that different rules will apply to strictly commercial members. Post with no other purpose than to sell products are not welcome in the main forums. However, we will soon have an area for Press Releases and Announcements where these posts can go.